Each piece from A Putia du Re is 100% handmade and hand painted. 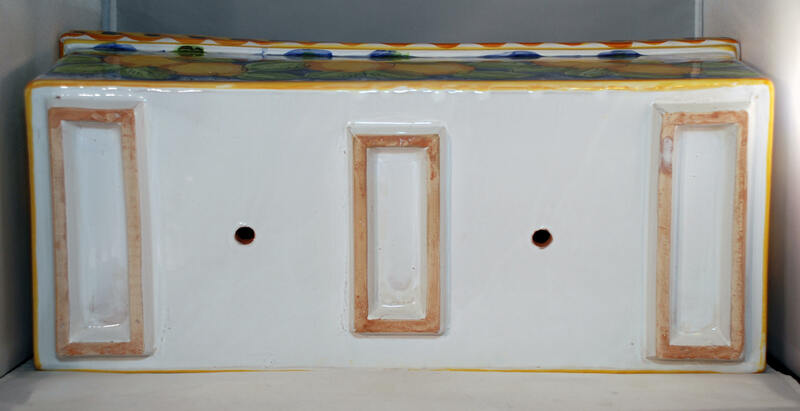 The vase is made of 100% Sicilian natural terracotta; It was made in Santo Stefano di Camastra, north coast of Sicily. Every single vase is signed by the artist. 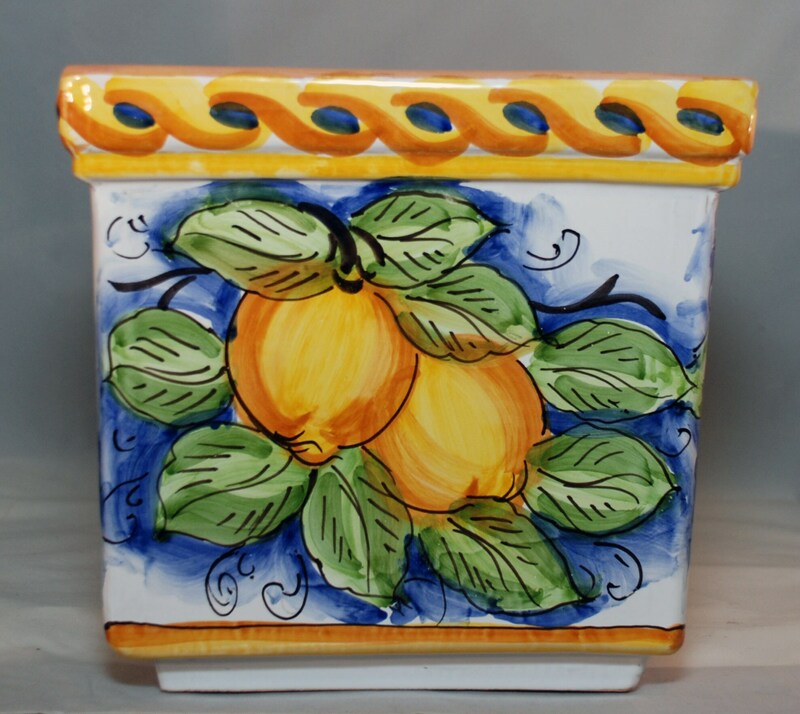 We import those items from Sicily to the U. S. for the enjoyment of our customers and to spread the Sicilian art and culture in the world. This is one of a kind item, impossible to reproduce exactly as it is. This vase looks great in your patio or backyard or even indoor. About 24.5 in. length, 10 in. width, 10,5 in. height. Net weight 34 lbs.